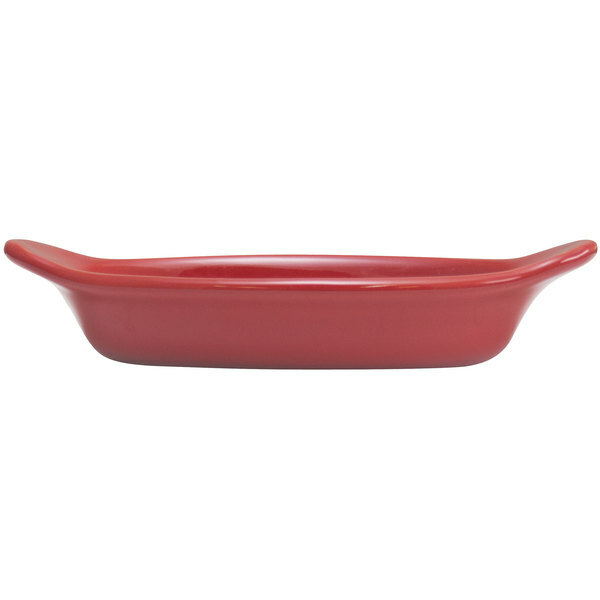 As part of the Hall China Colorations collection, this 30527326 scarlet 8 oz. rarebit / au gratin dish features an all-over, brilliant glaze, designed to coordinate with Colorations from The Homer Laughlin China Company. 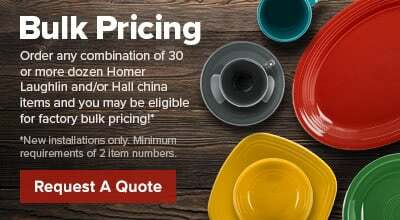 Made from stunning china, with a shallow oval shape and decorative extended sides, it's perfect for baking and serving your most popular au gratin recipes, boiled fish, crab cakes, and more, with the perfect combination of fashion and functionality.